The gracefully branching tree that you see about 20 feet beyond the tour stop sign is a Red Mulberry. 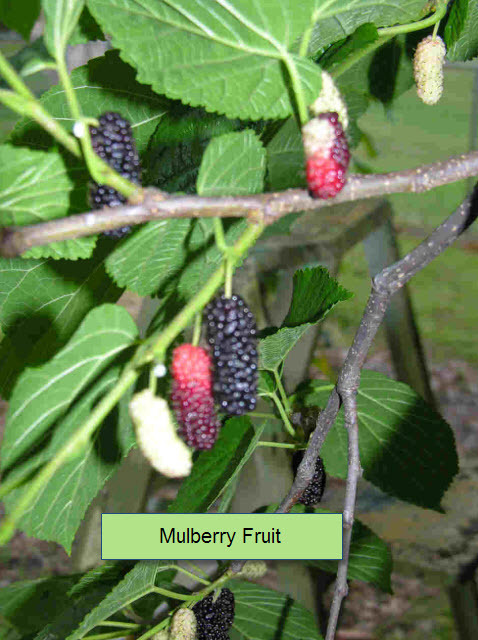 There are many types of mulberry trees throughout the world. Here in the south, mulberry trees are usually found scattered around floodplain forests, so it is no surprise that they grow here at West 11th Street Park. This is one of about 7 mulberry trees in the park that we know of. Native Americans used the soft, fibrous bark of the mulberry to make cloth, and they also used the sap to treat ringworm and made a tea from the leaves to treat digestive problems. The juicy, dark purple mulberry fruits are a little over an inch long, and resemble stretched out blackberries. They appear in March, and ripen over the course of the next several months, with many ready for migrating birds to eat in April and early May. The fruit can be used to make jams, jellies, pies, and beverages, but most of the mulberries that grow on the trees here at West 11th Street Park are eaten by birds. This is important for the long-term survival of the trees, because the seeds in the fruit are spread by the birds after passing through their digestive tracts. This mulberry tree is one of the best sites in the park to see birds during the spring migration. For more information about birds that have been observed here and about the spring and fall migrations, go to Tour Stop: Bird Migration.